Our showroom features carpet, area rugs, wood floor, and other unique floor coverings. We specialize in sisal, seagrass, raffia, jute and other natural floor coverings and rugs. We offer a wide variety of standard and custom rugs. Our showroom has been recognized as a Premier Partner by the Wools of New Zealand. We carry over 80 name brands including Karastan, Masland, Fabrica, Stanton, Carousel, Nourison, Fibreworks, Moda, Richard Marshall Olde Boards, Moda Hardwood, Metroflor, Unique Carpets, Feizy Rugs, Safavieh, Ralph Lauren, Prestige Mills, Hibernia, Godfrey Hirst, Hycraft, J. Mish, Hagaman, Robertex, Royal Dutch, Camelot, Moda Carpet, Dayln, Chandra, Capel, Obeetee, Samad, Uttermost, Peel and Company and more. Most of our business is repeat and referral. Explore our reviews, visit our showroom or contact us and discover why we have such loyal clients. 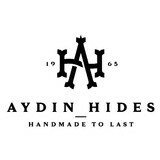 Family run AYDIN Hides is the Leading Provider of the Finest Luxury Cowhide and Cowhide Patchwork Rugs, Sheepskins and Goatskins ethically and humanely sourced in Europe and 100% with respect to nature and bio diversity. Each piece is handcrafted and hand-stitched in small production batches to offer uncompromised Premium Quality and Authenticity. 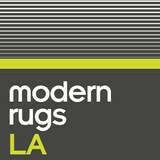 Retail modern and contemporary area rugs. Courtesy to designers. Urbanfloor boast expertise in producing stylish and quality hardwood floors. Whether you prefer a smooth finish, a handscraped finish or even a heavily distressed floor, Urbanfloor has what you are looking for. 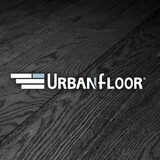 Located in Southern California, USA, Urbanfloor has a large facility readily available to fulfill clients' orders. Our depth of experience and expertise in the wood flooring industry allows us to offer the right combination of prompt delivery and accurate service. We take pride in using quality materials, state-of-the-art equipment and exacting safety and quality control measures to ensure that each and every customer receives the highest quality product. With numerous and varied styles to choose from, each collection comes with it's own factory warranty. In addition to offering the finest products available today, we are also committed to delivering superior service. We have numerous dealers and distributors around the United States. Our highly trained, dedicated team members strive for excellence every day. The diversity of our people is our best asset and their value is a central part of Urbanfloor. Our goal is to ensure each transaction is conducted smoothly and each and every client is satisfied not only with their actual purchase, but with their total purchasing experience. For nearly 40 years, Contempo has been a leading flooring provider to designers, architects, contractors and homeowners. Contempo Floor Coverings provides extensive products and services for finished flooring materials, window treatments and upholstery. Our selection of merchandise for hardwood floors, carpets, natural materials, hard surfaces, window treatments and upholstery are available for every budget. Installation for all of our products is provided. Contempo is the first showroom in Los Angeles to offer Eco Friendly flooring products. We specialize in providing new and exciting materials and brands for sustainable living. We have two showrooms to serve you: Our NEW West Los Angeles, 7000 sq ft showroom at 1888 S. Sepulveda Blvd. and our Brentwood showroom at 902 S. Barrington. Our friendly and knowledgable staff are happy to help you with any inquiries you might have for your projects. We hope to see you soon! simpleFLOORS North Hollywood is a family owned and operated discount supplier of premium wood flooring with 17 years experience. We provide Solid Woods, Select Grade 1 Engineered Woods, Laminates, Bamboo and Cork flooring, and all at great prices. We are one of 23 locations Nationwide and we only deal in High Quality materials. Our accessible North Hollywood Showroom provides all the best flooring available, from Maples and Hickories to African Mahoganies and Peruvian Woods. So Come on in today and let us help you with your flooring project. We install. At MAC Flooring and MAC Remodel, our goal is to not only help you choose the flooring, kitchen and bath finishes to best suit your lifestyle and budget, but to make the process easy and enjoyable for you. We are a full-service residential and commercial construction firm with a wide range of products and 80 + years of industry experience between us. We can help you with your needs for new home construction, full remodel projects, or just a little interior "face-lift." Our excellent reputation amongst local contractors, designers and realtors as well as long list of satisfied clients can attest to our superior craftsmanship, attention to detail, clear communication, honesty and integrity. Servicing all of Orange County, California. Our company is based on the belief that our customers' needs are of the utmost importance. Our entire team is committed to meeting those needs and exceeding expectations. As a result, a high percentage of our business comes from repeat customers and referrals. Kristin Topping, Owner of MAC Flooring and MAC Remodel, has a reputable backround in sales, business operations and interior design. She brings value to the business in her ability to lead her Team to quickly determine her customer's needs, budget, and work through the process of deciding on the best finishes for each individual customer. Kristin and her Team have worked hard to offer the best quality products to their customers at extremely competitive pricing. MAC's approach is to fight the gimmicks their competitors solicit by offering honest estimates and completing jobs at the prices they have quoted. The extensive industry experience of the MAC Team have allowed them access to the best installation crews in Orange County that can deliver consistent and beautiful results. We would welcome the opportunity to earn your trust and deliver you the best service in the industry. Let's Discuss your ideas! Your free consultation and free in-home estimate is just a phone call away. The Rug Affair & Antique Rug Co.
Floorplan is an agile rug company dedicated to improving the process of finding and buying great rugs. We're set up to meet customers' needs through an array of channels: online, pop up, select local shops, and direct to designers and retailers. We stock and sell great rugs and have a tailored set of services to make buying easier: free consultation, in-home previews, custom designs and cleaning and repair. We're based in Los Angeles. 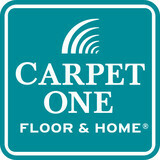 *Authorized Dealer of Shaw Floors* For any of your carpet or flooring needs, call Carlton's Floor Covering! We offer an extensive selection of carpet and flooring, and are confident that we will have the products you are looking for! From our humble beginnings in 1980, the mission was clear, to create an atmosphere where both commercial and residential projects can come to life. State college distributors has grown to an impressive 40,000 square foot show room that showcases everything from porcelain tiles, hard woods, laminates, carpets, marble, travertine and multiple types of counter top surfaces. Thorough Deep Cleaning with Quick Dry Times: With our method the entire carpet fiber will be cleaned all the way down to the backing of the carpet, not just the tip of the fiber like other methods. After the cleaning, our state of the art truck mounted units will leave your carpets damp for several hours. Upholstery Cleaning: Your upholstery may not look very dirty but our services will keep your couches and chairs free of body oils, pet dander and dust mites. Stain Removal Experts: Kool-aid, pet urine, wine, rust… No Problem. There are very few stains that we can't remove! Odor Removal Specialist: Has your pet had an accident? No problem, we can thoroughly remove hard to get odors embedded in your carpet and padding. Spot Dye Repair: Repair for spots of color loss caused by bleach or cleaning products. Re-dyeing the area of carpet affected by color loss restores carpet color similar to the original dye making the spot much less visible. Scotch Guard Stain Protector Reapplication: Know that your carpet is fully protected against spills and traffic patterns. Exquisite Rugs is a leading manufacturer and importer of quality handmade rugs. For three generations, spanning more than 80 years, Exquisite Rugs has continued to stand for tradition, craftsmanship, and innovation. Every one of our rugs is a reflection of our commitment to quality, and a testament to our leadership in the industry. Our incredible rug selection delivers timeless traditional designs to the most stylish, fashionable, up-to-the-minute trends in color, and texture. Each design has its own decorative charisma. The designs offer many exciting interpretations -- some bold and rich, others with colors as light as air, but always a relaxed elegance, distinctive formality, and individual expression of style and comfort. Quality is the utmost importance to us. To offer only the best rugs for sale, we maintain our own design departments and weaving centers to give our customers distinctive styles, colors, and textures. We are involved in at every phase of the artistic process, having implemented rigorous quality controls so that you can trust our superior rugs every time. We pride ourselves in preserving the ancient art form. Our master-weavers practice time-honored techniques that go back generations, only using the the best materials, such as 100% New Zealand wool, the finest bamboo silks and ethically sourced leather. Because of our longstanding relationships, we’ve built strong partnerships with some of the largest retailers in the country. We serve every channel of distribution, from department stores to multi-unit chains, and from designer showrooms to E-Commerce websites. With the right products, price points and sales materials, we work together to build their businesses. From our weavers to your customers, come experience The World’s Most EXQUISITE RUGS. Hardwood Flooring Contractor in Orange County, Ca. We install engineered wood flooring, solid hardwood flooring and laminate flooring. We install carpet and tile and can handle any of your flooring needs. We install back splashes and do shower tile installation as well. We service all of South Orange County. Since 1920, Thomas Rug Cleaning has specialized in cleaning, repairing, stretching and selling new and antique oriental rugs. Today we are Southern California's largest rug cleaning plant. At Thomas Rug Cleaning Co. & Ararat Oriental Rugs, we believe that rugs are a very precious form of art, so we treat each and every rug with the and care, as one that belongs in our own home. Feel confident that we will provide the highest standards of quality and customer service possible. We specialize in cleaning, repairing, stretching, and selling new and antique oriental rugs, from the finest Persians, Caucasians, and Indians, to the American hooks and Navajo rugs. Carpet dealers in Sherman Oaks, CA help homeowners choose the correct carpet covering for their floors, and also assist with carpet maintenance. This includes determining factors like material, carpet pile, durability, color and size, as well as helping with any custom carpet design. After completing the initial installation (which includes removal of the old flooring, if applicable, and surface prep), they may also handle follow-up maintenance requests such as carpet cleaning, carpet repair and carpet stretching. Carpet dealers might work closely with California contractors, interior designers and others in the home building and home improvement industry. Here are some related professionals and vendors to complement the work of carpet dealers: Interior Designers & Decorators, Design-Build Firms, Specialty Contractors, General Contractors, Home Builders. Find a carpet dealer on Houzz. Narrow your search in the Professionals section of the website to carpet dealers in Sherman Oaks, CA, and read reviews and ratings for pros in your area.